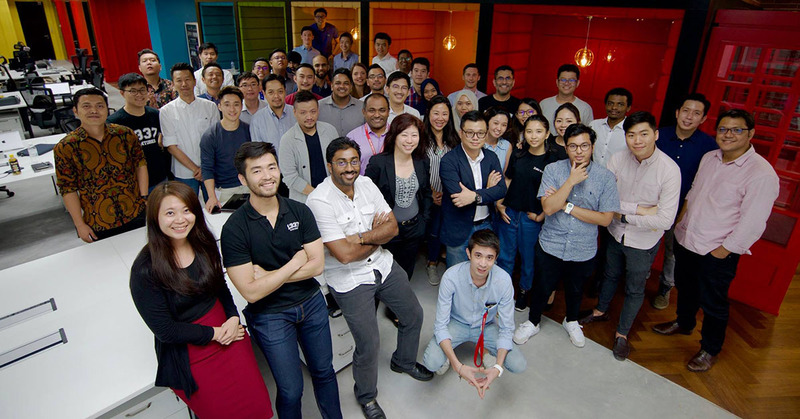 The Malaysian fintech scene may be nascent, but now’s also an exciting time to be part of it. Besides having passionate and dedicated players, it’s finally reached a stage where large financial institutions are starting to sit up and take notice its potential. In conjunction with this week, 1337 Ventures have been appointed to take their signature Alpha Startups accelerator programme and run a MyFintech Week version. If there are any fintech startups looking to validate and fine-tune business and go-to-market plans, this could be the place to start. It’s catered catered to startups of all stages, from ideation to seed. First, 20–25 teams will be selected to join the 1-month bootcamp, where only the top 10 teams will present in MyFintech Week’s Demo Day. From there, the selected top 3 teams will receive early-stage funding of RM150,000. The top 3 teams will be guaranteed a spot to join the 6-month long accelerator, but depending on the quality of the intake, 1337 Ventures has told us that they might accept more teams. The accelerator is also a culmination of 1337 Venture’s experience after organising 23 batches of their programme. They’ve also included angel investors from the fintech circle to co-invest with 1337 Ventures, to give the teams a leg up from lessons learned from more established fintech startups. The accelerator is looking to solve financial consumers’ pain points in the areas of banking, payments, insurance technology and regulation/supervision technology. An infograph of some of the pain points they’d like to see addressed. Regulatory support to lower the barriers for startups to enter markets. There is a need for relaxed conditions, such as the paid-up capital required, or a constrained environment that fintech startups are provisioned a conditional license to operate. The need for open banking APIs for other fintech companies to leverage and build better experiences around the space. As of now, it’s a challenge for new players to receive access to these APIs, which slows down the enhancement service offerings, improvement of overall customer engagement, and increase revenue from new channels. Dictionary Time: An API is a set of functions and procedures allowing the creation of applications that access the features or data of an operating system, application, or other service. Anyone who’s interested can head on over to the website to sign up. 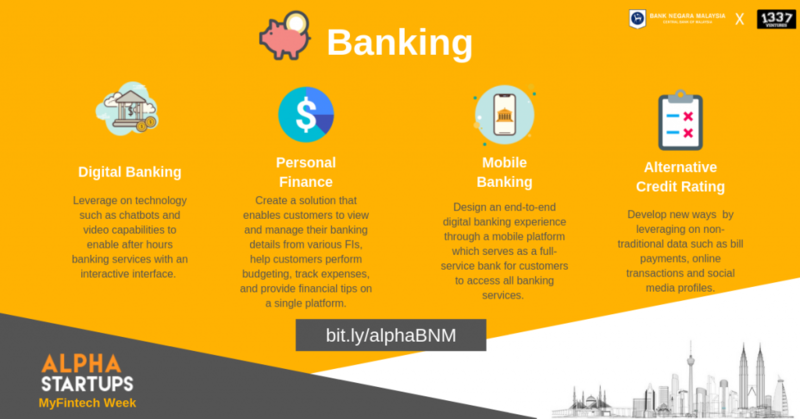 You can find out more about MyFintech Week here or read more about the Alpha Startups for MyFintech Week Accelerator Programme here. Applications are now open, and end on April 29.